Approximately five days prior to trial, and one day after a judge denied Defendants’ attempt to dismiss, a settlement was reached in a pending Wright Profemur lawsuit. This is one of at least two Wright Profemur hip settlements that have been reached just before trial. The terms of the settlement were not disclosed. I don’t know what they are, either. But let me tell you how much I think this case settled for: more than the market value for the claim. Why? Because the attorneys handling these case for Wright are pretty smart. They know full well the best way for the settlement value of these cases to get completely out of hand is to let plaintiffs start seeing jury verdicts. Right now, Wright can pretend that they are someone situated different than DePuy. Everyone who is in these cases – on both sides – knows the real score. But the last thing Wright needs at this point is a big verdict to get plaintiffs’ expectations soaring through the roof. 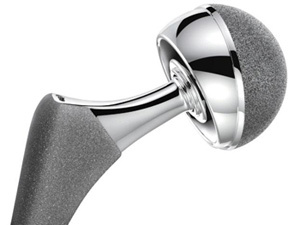 Like Stryker Rejuvenate and ABG II hip systems, a growing number of lawsuits have been filed against Wright Profemur alleging that its design is prone to fret, corrode, and ultimately fracture at the femoral neck stem. The Wright Profemur stem features two modular pieces, allowing the surgeon to adjust the patient’s leg length to match their other leg, unlike more traditional hip replacement systems that feature a single femoral component. The U.S. Food & Drug Administration (FDA) has been investigating metal-on-metal hip replacements since February 2011, after concerns that the friction between their chromium/cobalt ball and cup could cause the devices to shed dangerous amounts of metal ions into surrounding tissue and bloodstream. Certainly, they have been exceedingly slow in addressing the problem and even now their language on metal-on-metal is so tentatively couched. But the verdict on these cases is going to come from actual juries and the resolution value of the cases. If you or have had complications with a Wright hip implant, or any of the hip replacement systems, we are here to answer your questions. You may have a claim. If nothing else, we can give you a better idea of what your real options are moving forward. Contact us at 800.553.8082 or here to speak to one of our attorneys today. Could Metal on Metal Hips be a Concern? Are Metal Hip Replacements an Advantage Over Older Implants?